At DJB Commercial Cleaning, we’re fully capable of providing professional medical centre cleaning in Melbourne. We boast a team of highly trained and experienced specialists who are known for their professionalism and workmanship. Whether you need to keep surfaces clean or require thorough carpet cleaning for a reception area, we can provide the assistance that you need. By using the most effective cleaning techniques, we can provide prompt and efficient medical centre cleaning in Melbourne. When you choose us, you need not worry about unnecessary delays and costly disruptions that will affect your operations. We will ensure that your medical centre looks and feels inviting for patients seeking quality medical care. 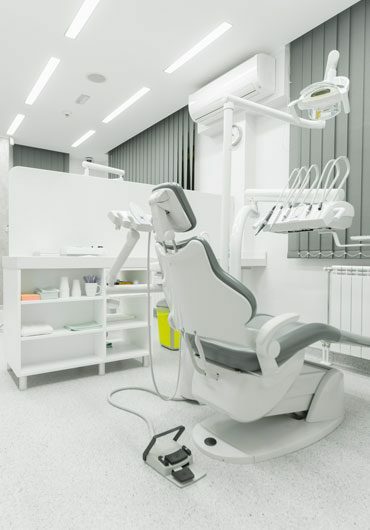 Medical centres are expected to maintain certain standards of organisation and cleanliness. This is because they are responsible for assessing, evaluating and improving the health of patients who schedule appointments. Regular medical centre cleaning in Melbourne will allow you to maintain a high level of cleanliness and instil confidence, encouraging people to schedule future appointments. Inadequate cleaning of surfaces can cause potentially serious issues. People who are suffering from contagious viruses often visit medical centres to alleviate their symptoms, and failing to clean surfaces on a regular basis can expose other people to these viruses unnecessarily. Furthermore, medical tools need to be cleaned and sterilised to avoid spreading communicable diseases. Additionally, poor organisation can lead to basic errors that affect the efficiency of medical centres. The last thing you need to deal with is an embarrassing and potentially harmful mix-up of patient files. These problems suggest a lack of professionalism and care, which deters people from returning in the future. Our medical centre cleaning in Melbourne can help you avoid these complications. DJB Commercial Cleaning is a leading provider of medical centre cleaning in Melbourne. Contact us today to learn more about services and schedule an appointment. Give us a call on 0424 217 336 or send us an email for a prompt response. Copyright © 2019 DJB Commercial Cleaning. All rights reserved.